One of my favorite parts of going to fashion week is trying out looks I would never dare here in DC! I recently saw a magazine spread on mixing prints - I dipped my toe in the water with black & white mixed prints and accessories but I really wanted to try a bolder look... Booya, what do you think??? I tried to tie the two clashing pieces together by having a floral print theme. It's funny, I think everyone would stare if I wore this outside NYC, but I don't think I even turned a head at fashion week! I was really hoping my look would get my picture taken, but no go! 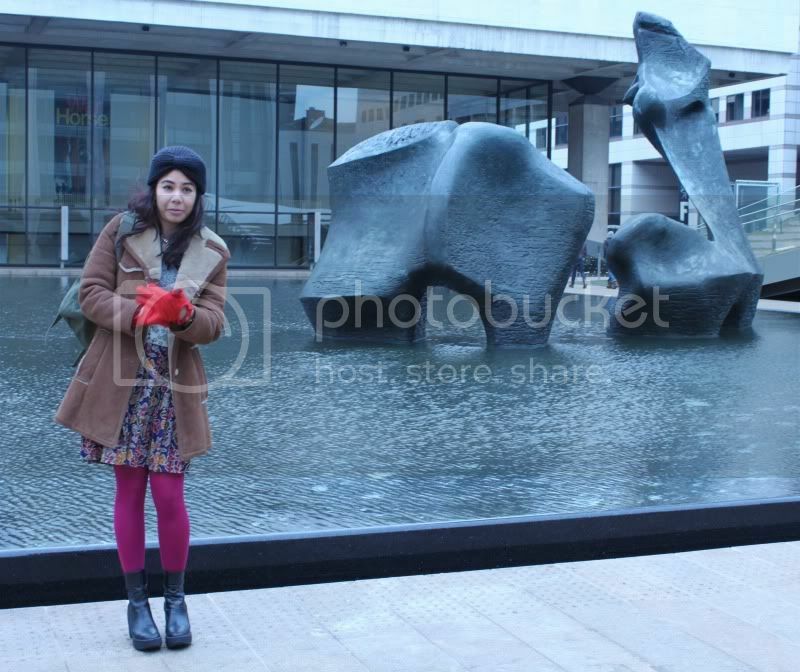 It was freezing out, but I really wanted some shots in front of the reflecting pool & sculpture at Lincoln Center. Everyone takes pictures in front of the fountain, but I have yet to see any over here - a shame since it's so beautiful! 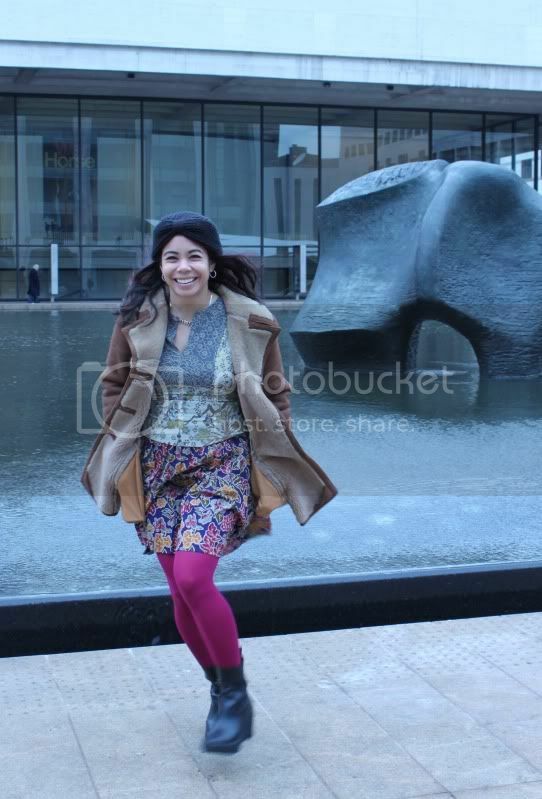 Thanks Alyssa for braving the cold to take my pic! I'm wearing: BCBG asian floral print top, vintage floral skirt stolen from mom's closet, tights courtesy of Kushy Foot, vintage shearling coat, red gloves from ModCloth, vampire necklace by P.A.M., knit turban from ASOS (still available and just $22!! ), and my Robert Clergerie boots.